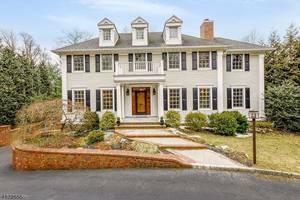 Listed by Lois Schneider Realtor: Set on a private cul de sac and counted among an exclusive collection of seven upscale residences, this superlative Colonial boasts spectacular western sunset vistas set against a backdrop of colors with each changing season that will forever be there. 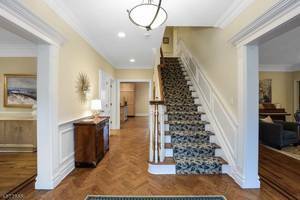 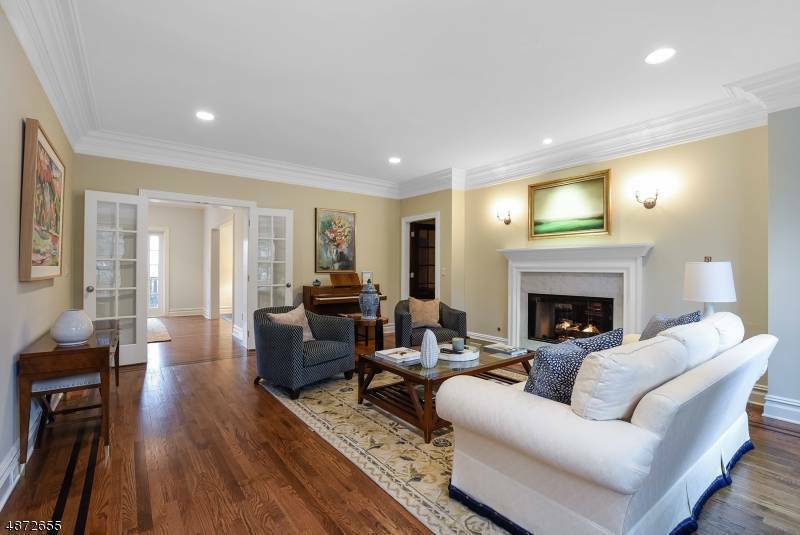 Superbly finished architectural details and an enviable center hall floor plan make this gracious home one of Summit's classic Colonial beauties. 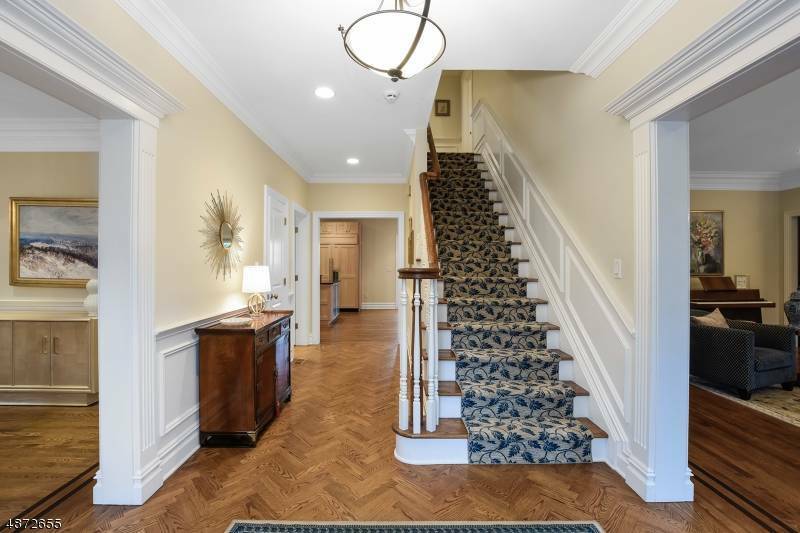 An entry hall with herringbone patterned floor and distinctive raised panel wainscoting is flanked on either side by a lovely fireside living room and formal dining room, each with elaborate crown moldings, ribbon banded inlaid floors and oversized windows--eminently designed for elegant entertaining. 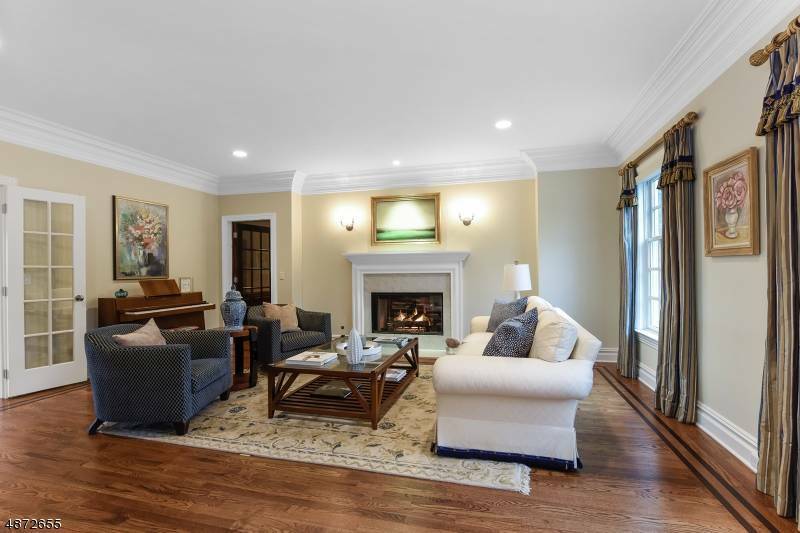 A see-through gas-log fireplace is the centerpiece of the living room and shares its glow with a handsome library on the other side, clad with rich cherry wood trims, wainscoting and custom built-in bookcases that flank the fireplace--a sumptuous private respite away from the world! 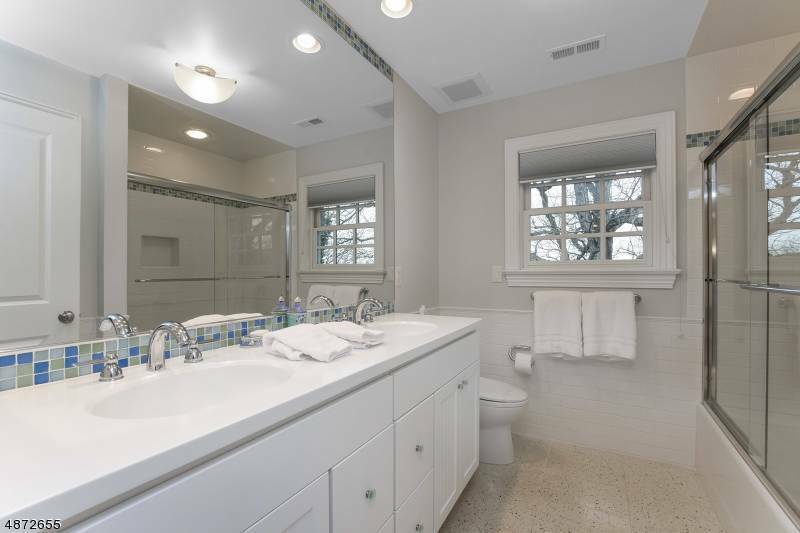 A nearby powder room is tastefully outfitted with a bowl sink set atop a glass vanity. 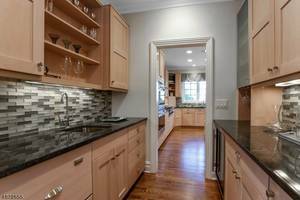 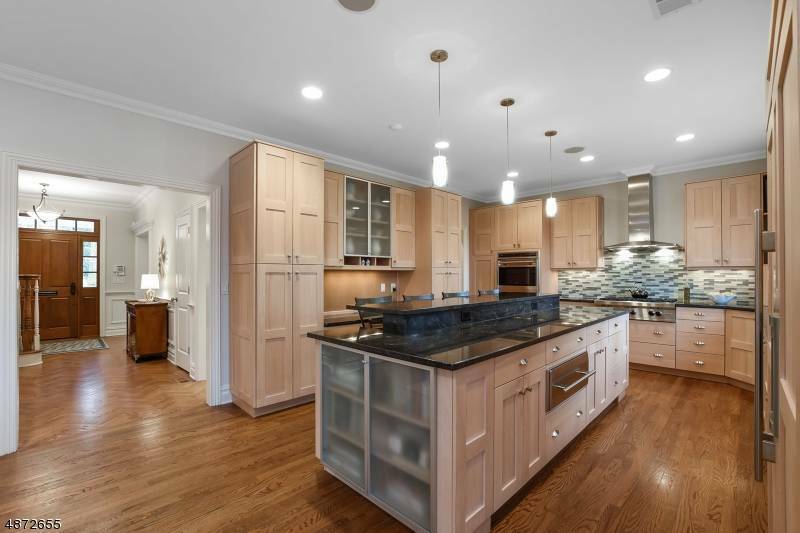 A butler's pantry/wet bar connects the dining room with the kitchen for ease of service when entertaining, complete with a Sub-Zero wine fridge, sink, mini frig and Fisher & Paykel pullout dishwasher drawer. 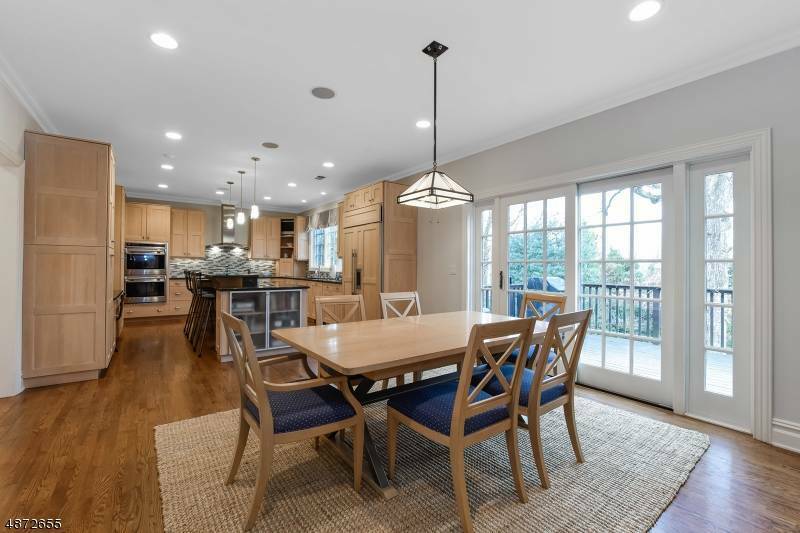 An expansive open concept kitchen with breakfast room and adjoining family room with custom built-ins and media center are all western facing, beautifully designed with today's comfortable lifestyle in mind. 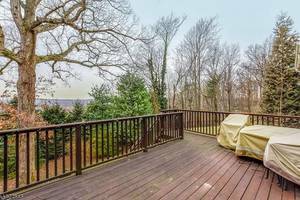 Sliders from the breakfast room open to an elevated rear deck for extended al fresco dining while taking in the panoramic views. 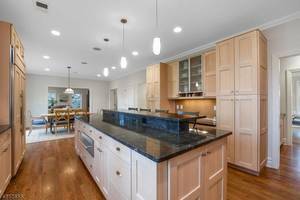 Warm light oak custom cabinetry contrasts with dark granite countertops and glass tile backsplash in the designer kitchen, featuring professional-grade appliances that include a six-burner Wolf cooktop and double wall ovens, a Sub-Zero refrigerator, plus a warming drawer built into the tiered center island with seating. 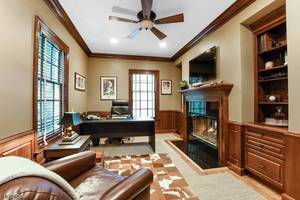 A built-in work station adds functionality to the space. 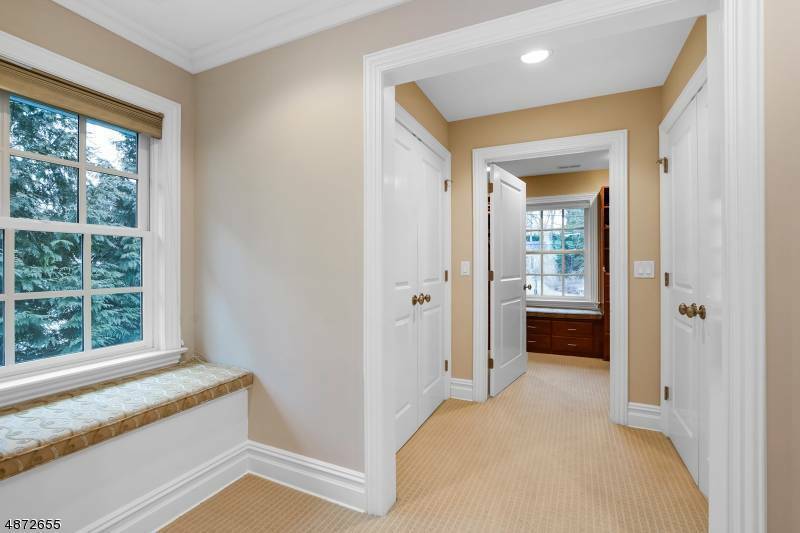 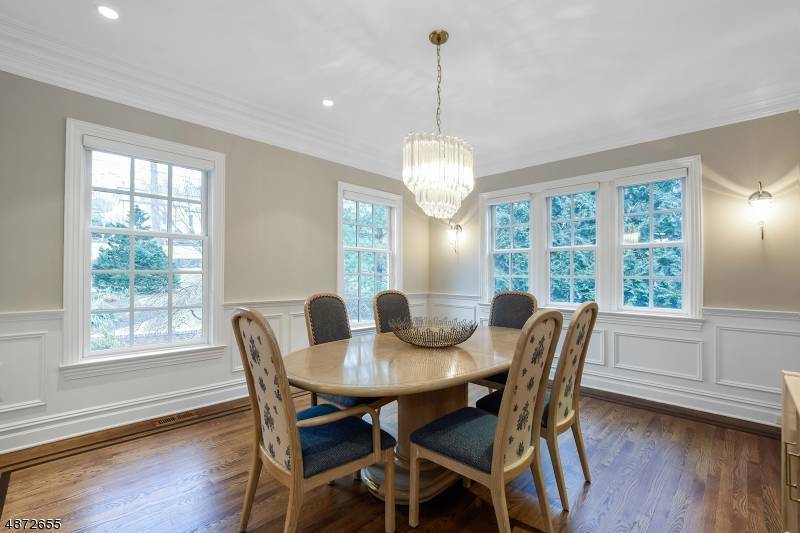 Raised panel wainscoting runs along an open hallway and landing with window bench on the second floor. 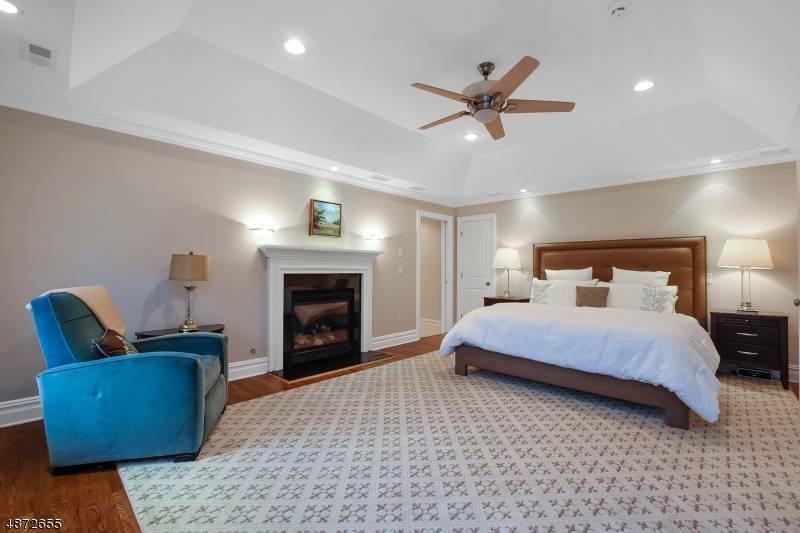 A romantic master suite is de rigueur for this home, set beneath a high tray ceiling with a glass-front gas fireplace, a dressing area with his and her double custom-fitted walk-in closets and another custom-fitted closet room with natural light and window seat. 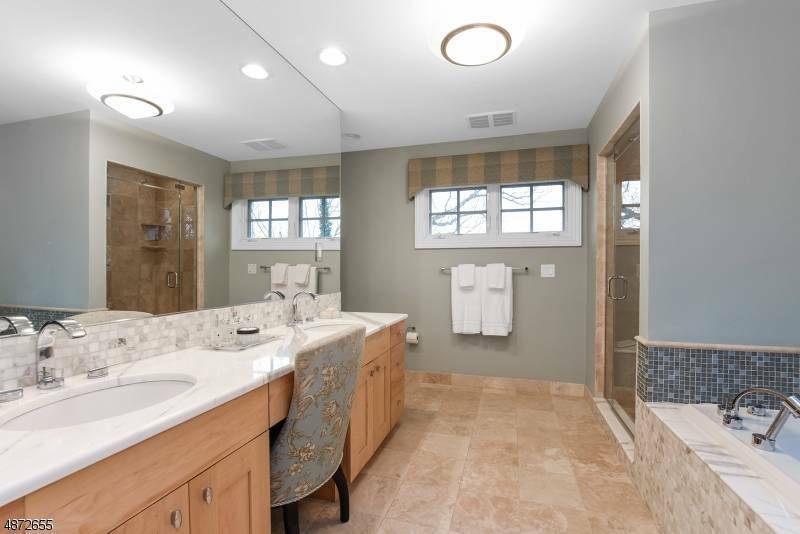 A marble-topped double vanity with built-in dressing table showcases the master bath, complete with a jetted tub and frameless steam shower. 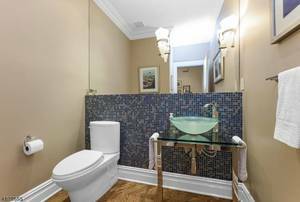 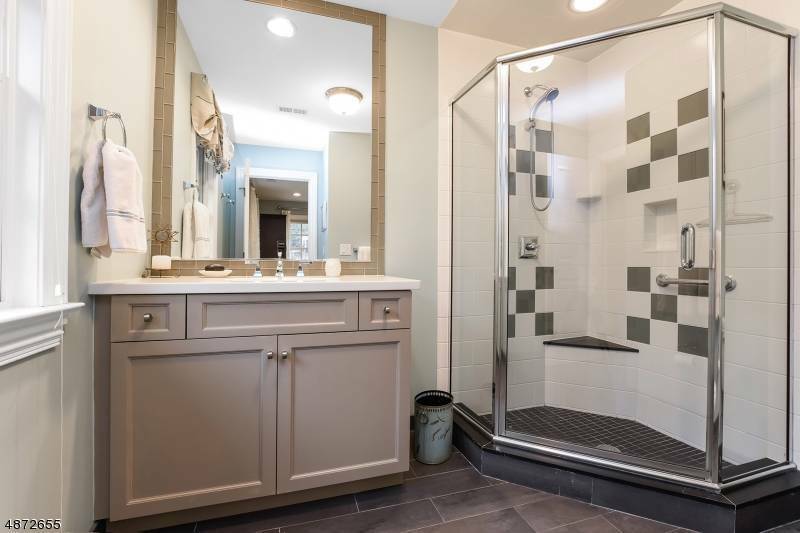 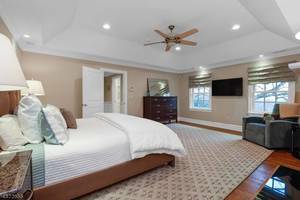 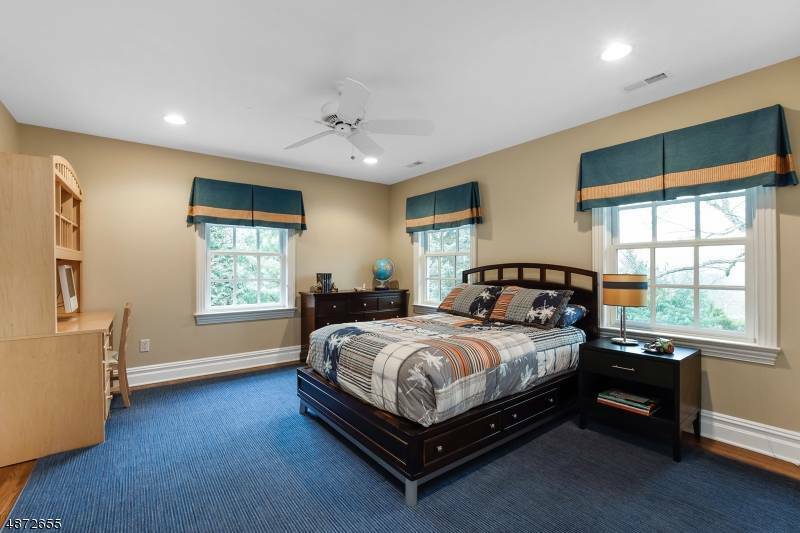 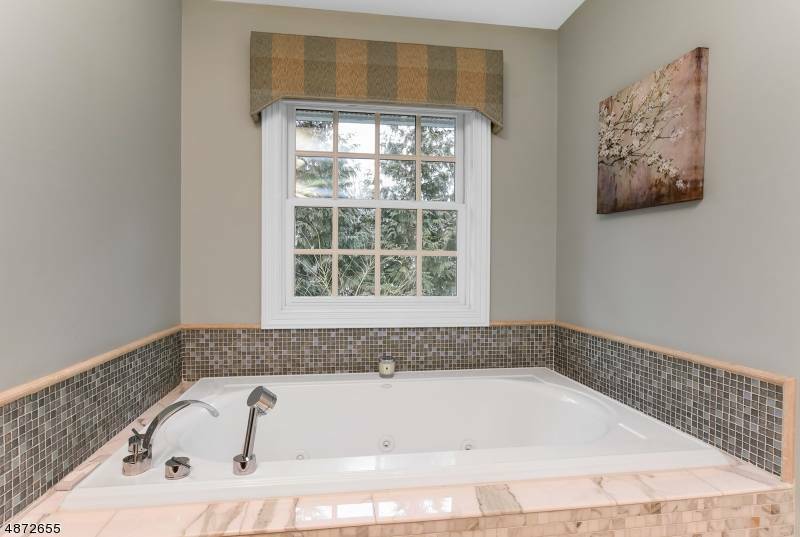 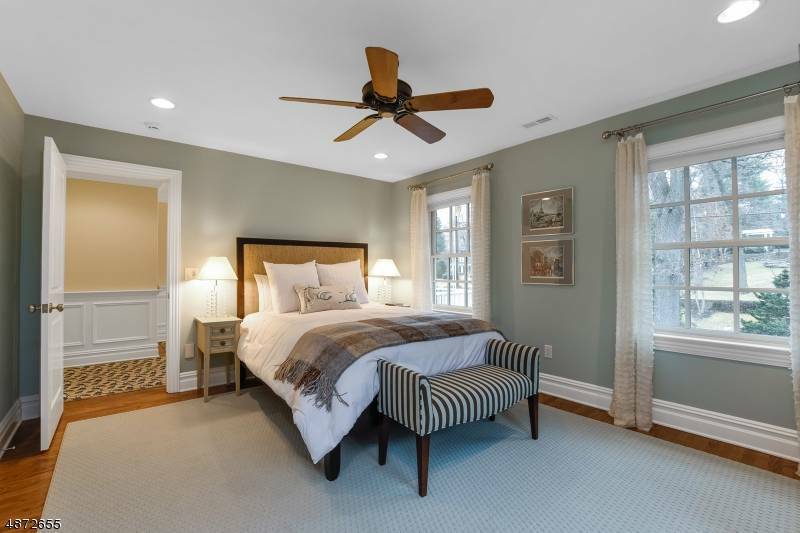 Three generous bedrooms each have custom-fitted closets and hardwood floors; one bedroom is ensuite with adjoining bath and shower, while a full hall bath with double vanity and tub shower serves the other two. A large, fully-equipped laundry center adds convenience, while a staircase from the hallway leads to a fully floored attic for extra storage. 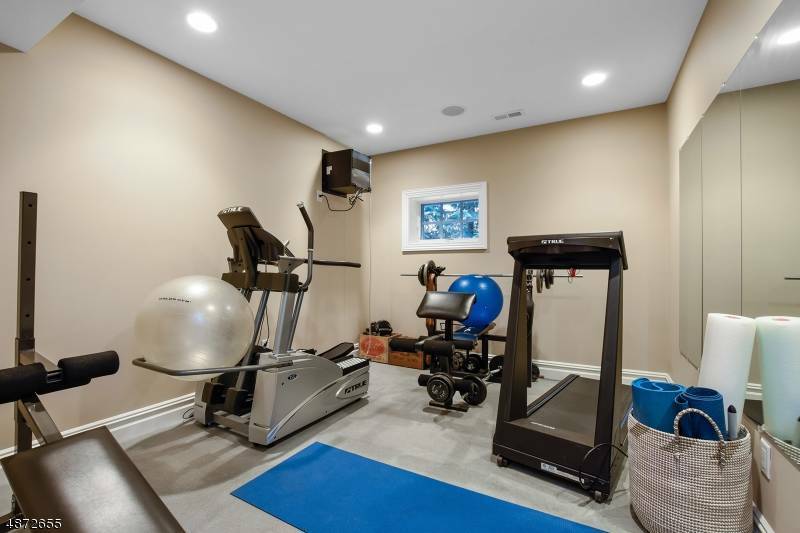 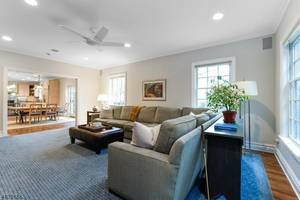 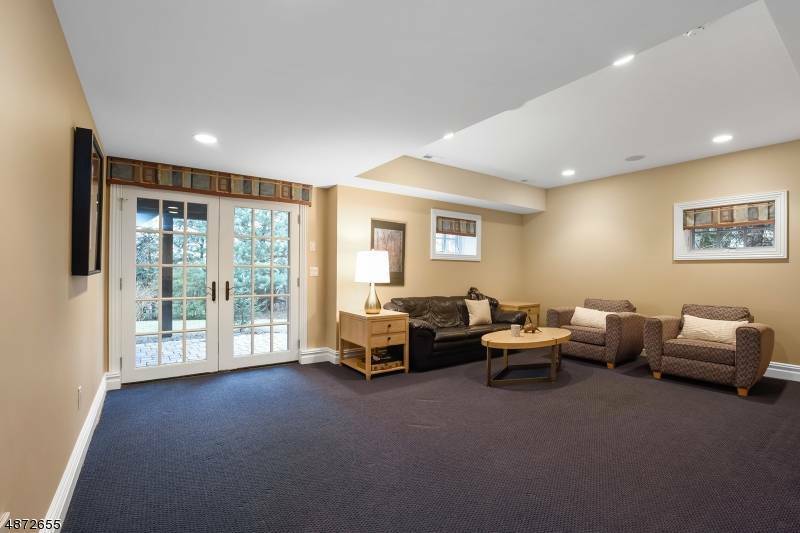 The garden level recreation room is comfortable and inviting, with wall-to-wall carpeting, high ceilings, natural light and French doors that open to a covered paver patio that is totally secluded, framed with mature trees and privacy plantings. Perfectly poised for enhanced leisure living, there is also an exercise room/bedroom, a temperature-controlled wine cellar, and a full bath with oversized shower and ample hallway closets. 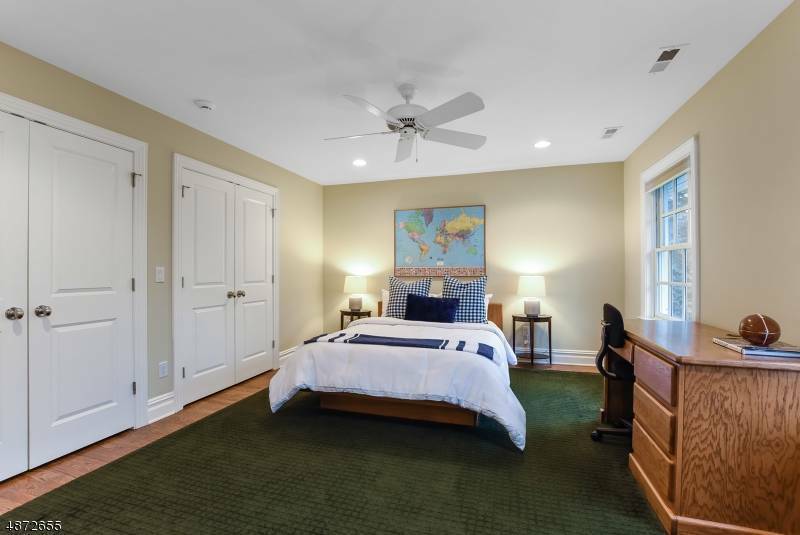 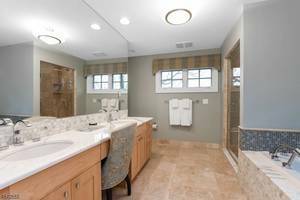 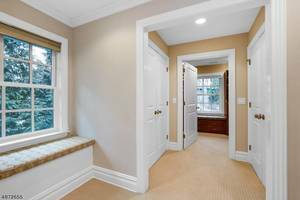 A mud room with custom built-ins has direct access from an oversized three-car garage with storage closet. 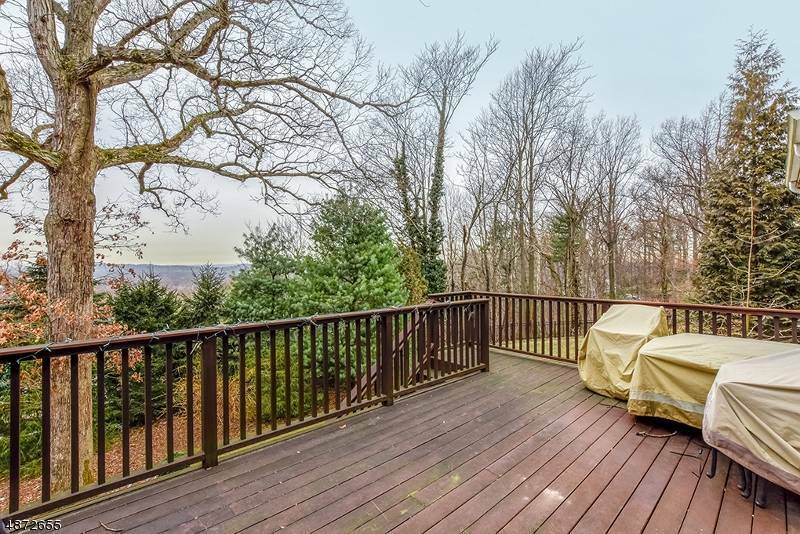 No detail has been spared in this fine home...truly a special place from which you can see for miles and miles! View more Homes for Sale in Summit, NJ, by visiting our site!